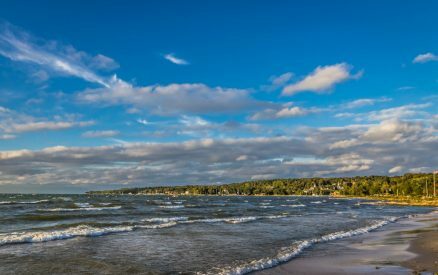 Bright and sunny days are bountiful during Wisconsin’s summer season, and a beautiful day is almost wasted if it’s not spent at one of the Door County beaches! The peninsula is home to 53 public beaches, each unique and boasting its own features and amenities. Whether you spend the day swimming, soaking in the sun, or enjoying a romantic waterside picnic, a visit to one of these beaches is a must for your Door County itinerary. Planning the ultimate summer vacation? Find all of the best Door County beaches, festivals, restaurants, and more in our downloadable Door County Vacation Guide. It’s the handiest reference to all the best things to do on the peninsula, and it’s free! 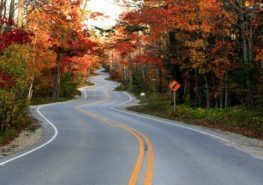 From long, sandy shores to rare limestone beaches, Door County has them all! Don’t miss the opportunity to dip your toes in Lake Michigan and experience some of Wisconsin’s best beaches. Recently named the most romantic spot in Wisconsin by Travel + Leisure, Schoolhouse Beach is one of Door County’s prized gems. It is also a geological marvel as it is one of only 5 beaches comprised of limestone in the world! The crystal clear waters are also fairly warm due to north winds pushing surface waters into the harbor. Picnicking, snorkeling, rafting, and swimming are very popular activities at the park. This state park protects the fragile dune environment in eastern Door County. Whitefish Dunes Beach is a prime location for wildlife viewing as many species of waterfowl and birds make their homes here. Visitors are welcome to stroll along the beach, go for a swim, or fish in the shallow Lake Michigan waters. You’ll also find a variety of other things to do in the park such as hiking the boardwalk through the wetlands, exploring the forests, or year-round programs at the nature center. Egg Harbor Beach is one of the most popular family beaches in Door County. A variety of amenities including a pavilion, playground area, restrooms, showers, and more make it easy to spend the entire day here! It is also a great location for swimming and fishing with the nearby marina and floating docks. 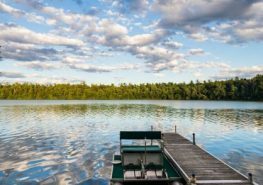 Located just north of Sister Bay, Ellison Bay is a gold mine for nature lovers and beachgoers alike. One of the most beautiful views in Door County can be found at the Ellison Bluff County Park catwalk that overlooks the lake from a 100-foot bluff. Along the shoreline, you’ll enjoy warm waters for swimming, soft sand for lounging, and plenty of opportunities to enjoy a full day of fun in the sun. Be sure to explore the historic and artistic community of Ellison Bay after your trip to the beach! Well-known for its fantastic kayaking opportunities, Newport Beach is open year-round for a wide range of outdoor fun. During the summer, find the perfect spot to lay out a blanket along over 10 miles of pristine shoreline. Then you’re free to soak in the sun’s rays, admire the scenery, or take a dip in the lake’s refreshing waters. 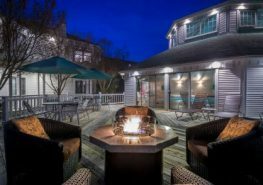 Our adults-only hotel in the heart of Door County is the perfect escape for a peaceful and rejuvenating experience. You’re invited to explore the wonders of the peninsula and then return for some well-deserved relaxation in your luxury room or suite. 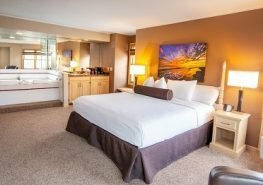 Our guests are also spoiled with a variety of unique amenities, access to exclusive vacation packages and specials, and convenience to all of their favorite local attractions. Treat yourself to the vacation of a lifetime and book The Ashbrooke for the 2017 season today! Don’t forget to download your free copy of our Vacation Guide to help you plan the ultimate getaway!